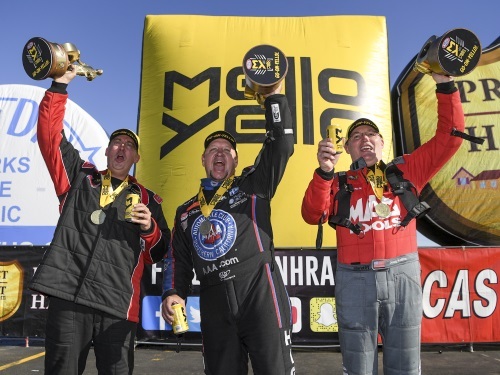 POMONA, Calif. (February 11, 2019) – The season-opening event of the 2019 NHRA Mello Yello Drag Racing Series concluded Monday at the 59th annual Lucas Oil NHRA Winternationals presented by ProtectTheHarvest.com at Auto Club Raceway at Pomona. 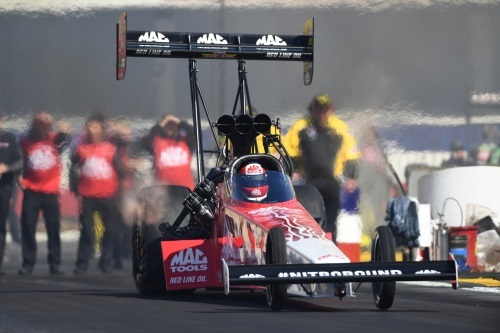 The 2019 NHRA Mello Yello Drag Racing Series season continues with Magic Dry Organic Absorbent NHRA Arizona Nationals at Wild Horse Pass Motorsports Park Feb. 22-24. POMONA, Calif. — Final finish order (1-16) at the 59th annual Lucas Oil NHRA Winternationals presented by ProtectTheHarvest.com at Auto Club Raceway at Pomona. 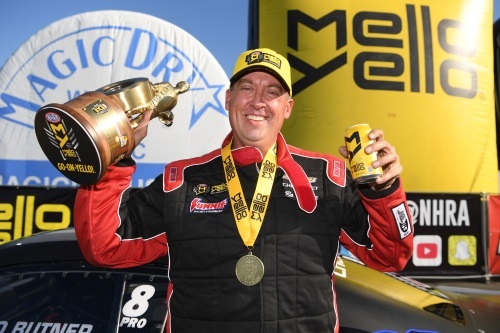 The race is the first of 24 events in the NHRA Mello Yello Drag Racing Series. 1. Doug Kalitta; 2. Steve Torrence; 3. Mike Salinas; 4. Terry McMillen; 5. Billy Torrence; 6. Austin Prock; 7. Leah Pritchett; 8. Antron Brown; 9. Richie Crampton; 10. Clay Millican; 11. Steve Faria; 12. Brittany Force; 13. Cameron Ferre; 14. Scott Palmer. 1. 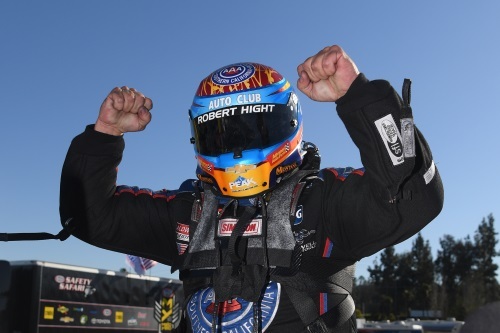 Robert Hight; 2. Jack Beckman; 3. John Force; 4. Tommy Johnson Jr.; 5. Bob Tasca III; 6. Cruz Pedregon; 7. Shawn Langdon; 8. Ron Capps; 9. Matt Hagan; 10. Terry Haddock; 11. Tim Wilkerson; 12. Frank Pedregon; 13. J.R. Todd; 14. Gary Densham; 15. Jim Campbell; 16. Phil Burkart. FINAL — Butner, 6.522, 211.59 def. Line, 7.160, 148.58. 1. 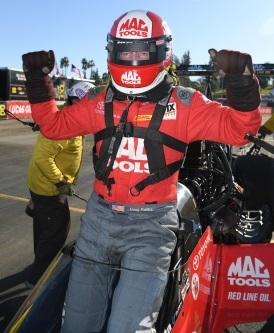 Doug Kalitta, 117; 2. Steve Torrence, 106; 3. Terry McMillen, 72; 4. Mike Salinas, 70; 5. Billy Torrence, 56; 6. 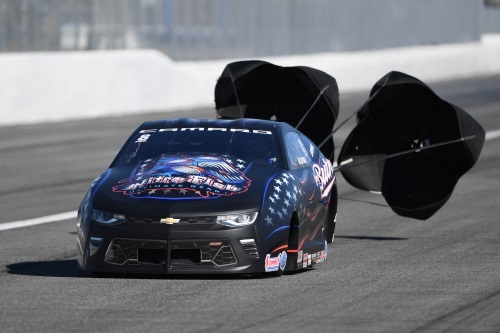 (tie) Leah Pritchett, 52; Austin Prock, 52; 8. Antron Brown, 37; 9. (tie) Richie Crampton, 35; Scott Palmer, 35. 1. Robert Hight, 121; 2. Jack Beckman, 100; 3. Tommy Johnson Jr., 81; 4. 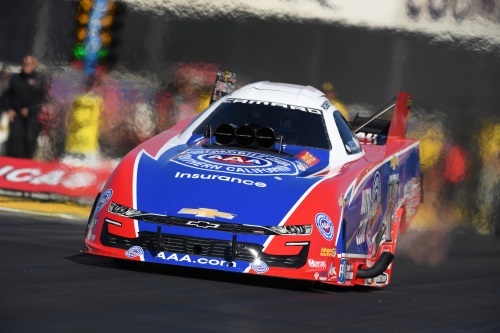 John Force, 71; 5. Shawn Langdon, 58; 6. Ron Capps, 57; 7. Bob Tasca III, 55; 8. Cruz Pedregon, 54; 9. Matt Hagan, 37; 10. (tie) Jim Campbell, 32; Gary Densham, 32; Frank Pedregon, 32; J.R. Todd, 32; Tim Wilkerson, 32.